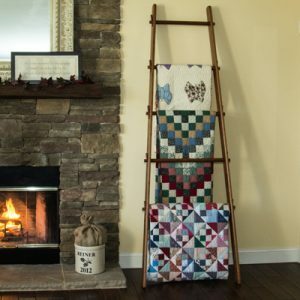 The Quilt Ladder is ideal for areas where floor space is limited and the ladder could be leaned against the wall. 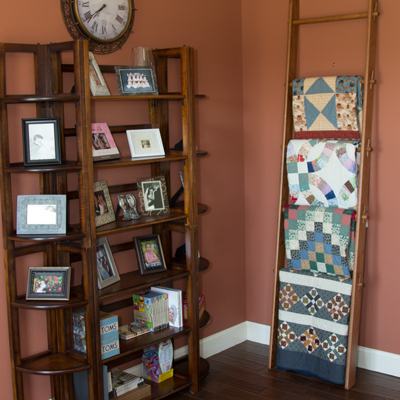 The Quilt Ladder takes up a space approximately 25″ x 20 of floor space. 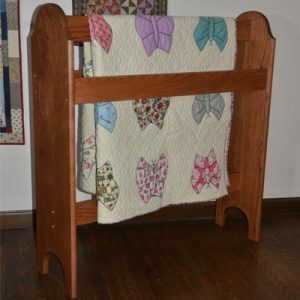 The Quilt Ladder consists of 2 upright rails and 4,5, or 6 rungs depending on the length ordered. The rungs are secured with tapered pins, making assembly very easy. See the table below for pricing and wood species. 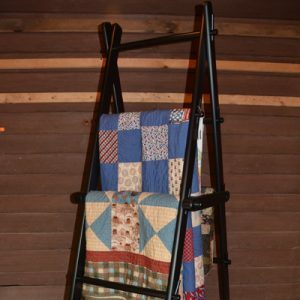 The 105″ Apple Ladder is no longer available for shipment, but can be ordered for pickup at DWR Custom Woodworking or at a Quilt Show listed on the schedule.